My ideal tree is tall, pink and pretty. This one would fit right in with my grey, cream and fuchsia scheme (with punches of pale pink, lilac, apple green, hot pink and robin's egg blue). Let me introduce you to my dream tree: Treeopia‘s fabulously frothy concoction straight out of the pages of Blueprint magazine’s November/December 2007 issue. 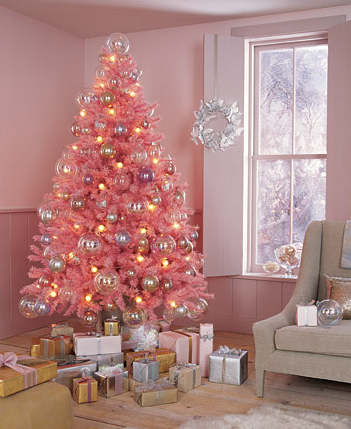 Treeopia still sells this pink beauty, which I’ve been adoring from afar since I first spotted it on the famous holiday cover of Issue No. 7, and now that it’s finally affordable at deeply discounted sale prices, it’s of course sold out. But a girl can still dream, no? One day, the timing will be right for me and my lovely tree-to-be. And in the meantime, I’ll be collecting the delicate vintage ornaments that will be gracing the branches of my six-foot-tall future tree. My No. 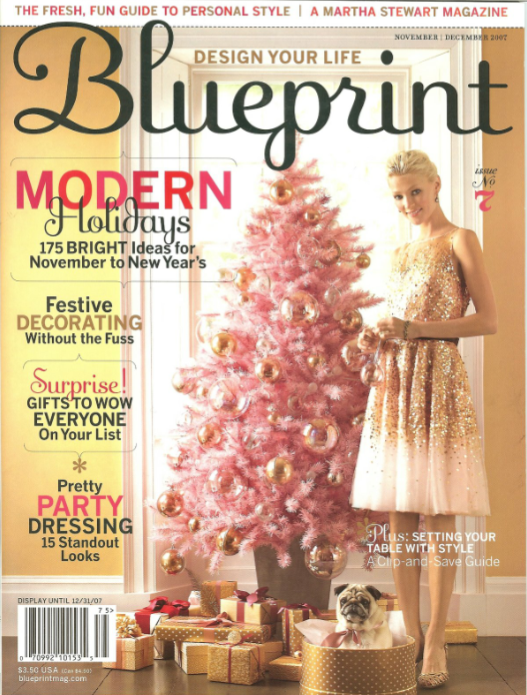 1 favourite holiday cover has to be Blueprint's No. 7. 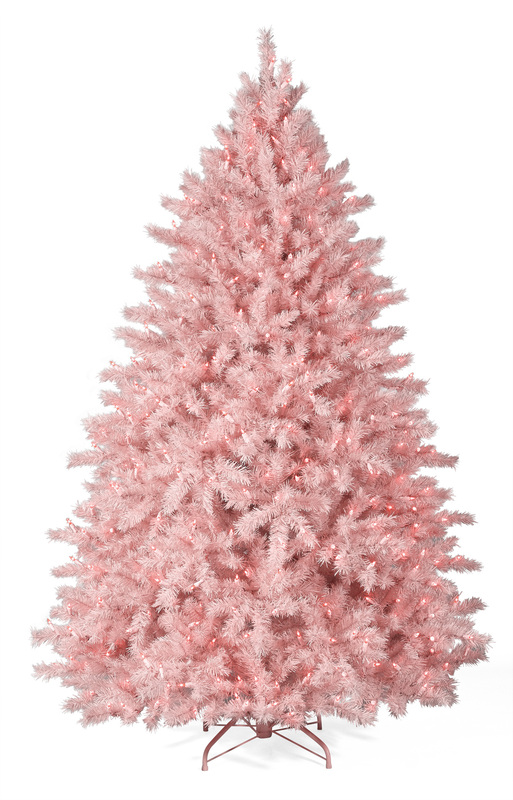 Here's the pink classic I've been crushing on for four very long years. Sigh.